While not all employers require cover letters from job applicants, there are still those who do. If you are unsure, it is always best to be prepared by writing one alongside your resume. 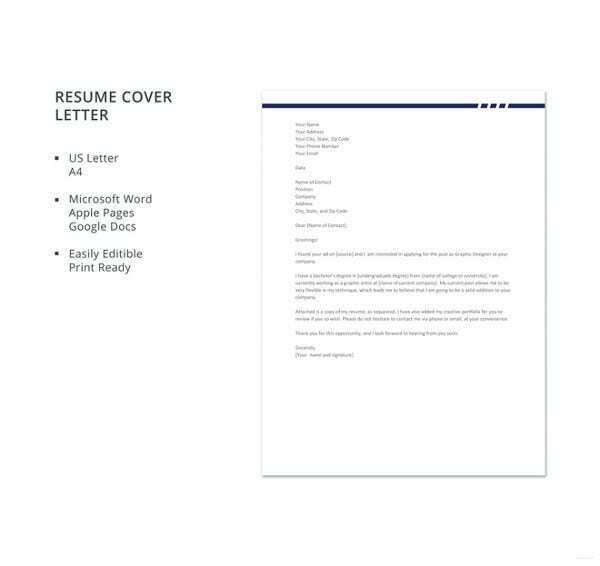 Here on our website, we have a lot of cover letter templates in word that you can use as a guide in writing your own cover letter. 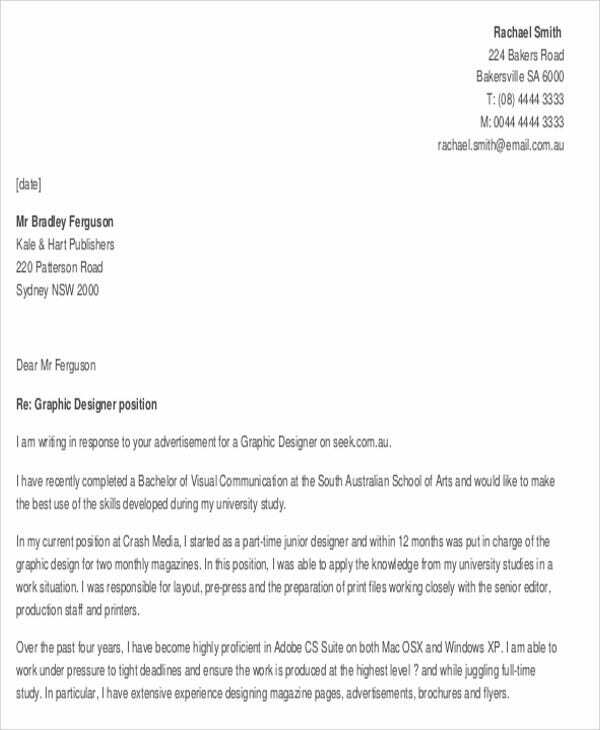 Aside from the samples that we offer on this post, we will also be providing you with some guidelines on how to write an effective cover letter. 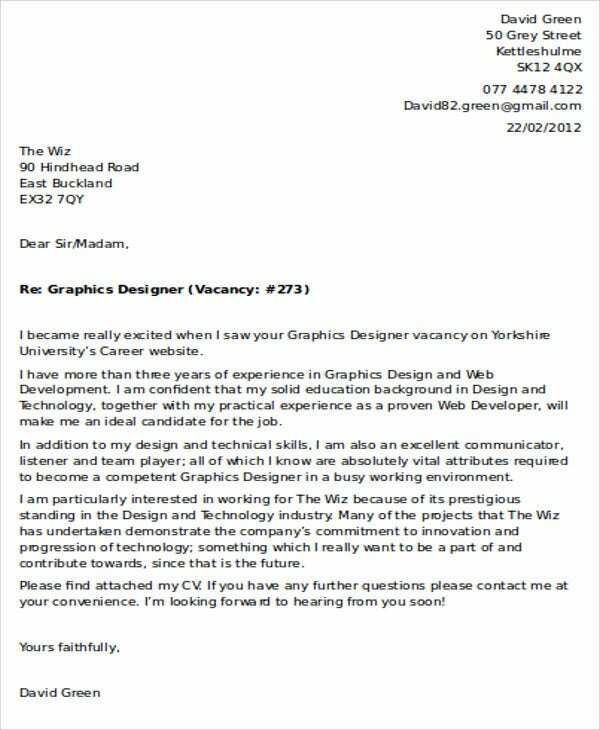 So if you’re a graphic designer looking to secure a job, then you don’t need to look anywhere else. 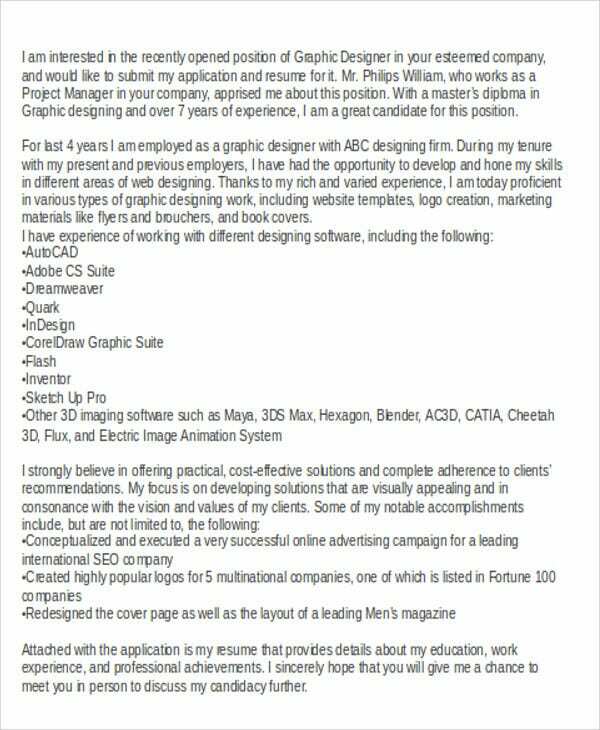 Check out our samples below for everything you need about application cover letters graphic designer. On the topmost section of the cover letter, write your contact information, including your addresses, phone numbers, and email addresses. Address the reader either as “Mr./Ms.” with their last name, or simply as “Sir/Madame.” Rather than saying “To whom it may concern,” contact the office and ask for the hiring manager’s name. Introduce yourself and indicate the position that you are applying. Also mention where you were able to learn about the position. 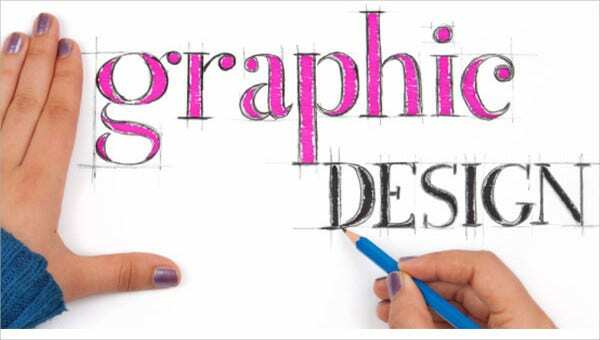 Depending on the job description, sell yourself by stating your skills and achievements. Mention only those experiences that are relevant to the position. Inform them that you are looking forward to be interviewed and that you will reach out to them if you won’t get any response after a week. Express your appreciation to them for considering you for the job. Sign off by placing your handwritten signature over your typed name. 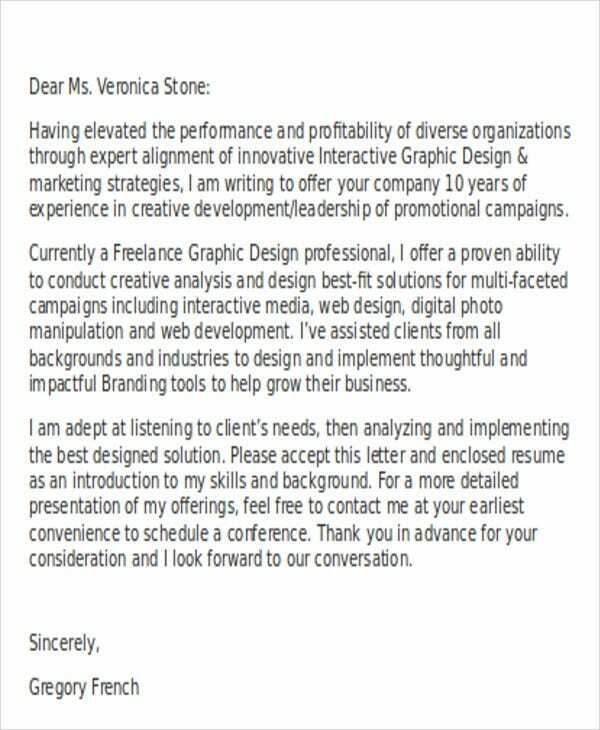 For more Cover Letter Examples, check out our collection of Professional Cover Letter Templates. 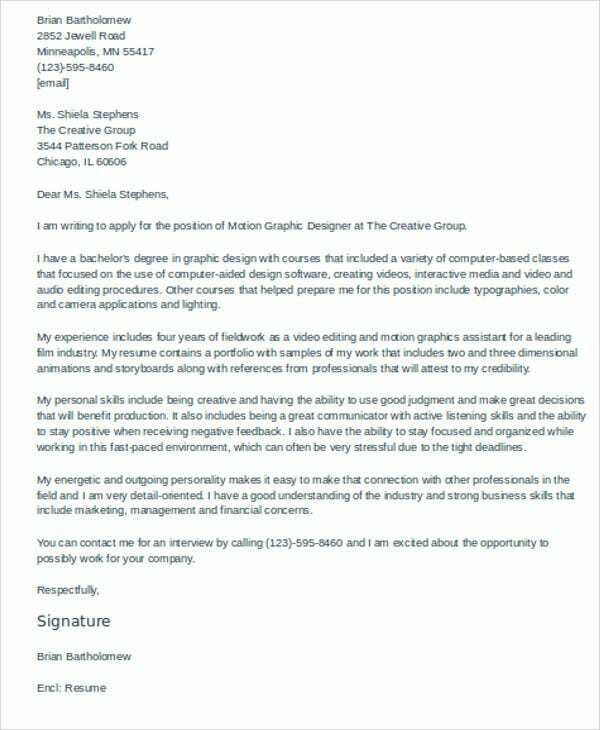 Why Is a Well-Written Cover Letter Important? The job cover letter provides the potential employer with their first impression of you, so it is best to make the most out of it. It shows the potential employer that you are not only interested in the position but are also determined in securing the job. It will help you in developing your written communication skills. 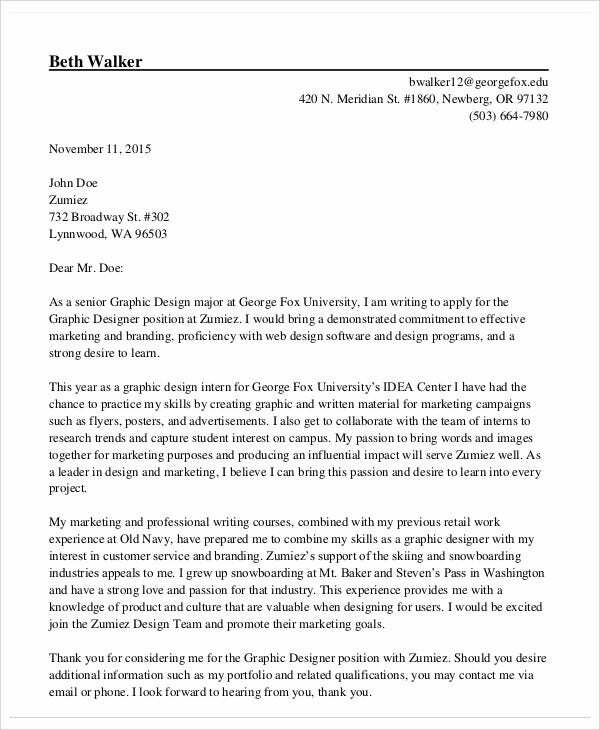 To learn more about the cover letter format, you may want to check out our collection of General Cover Letter Templates for more resources. 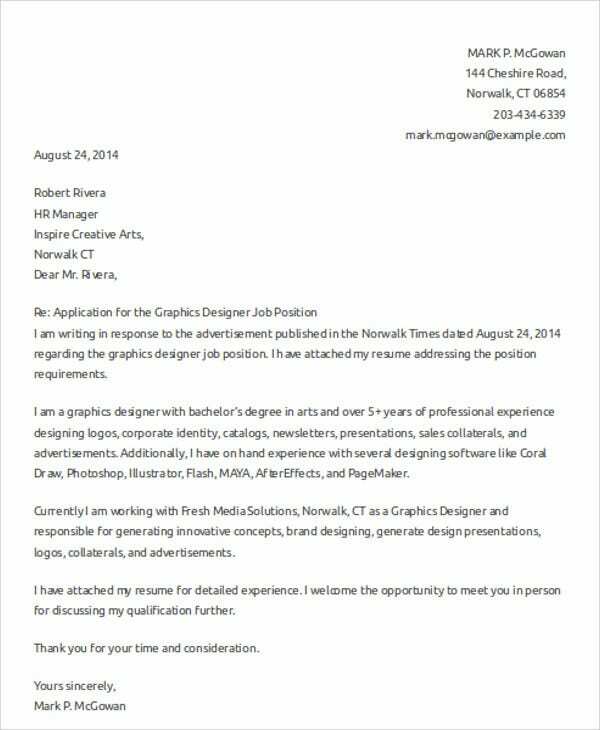 Don’t be in a hurry in writing your resume cover letter. Take the time to make one that will effectively show your best qualities and make you stand out among the others. As much as you can, find out the name of the employer and other information about them to give you an idea on what type of questions they will be asking during the interview. 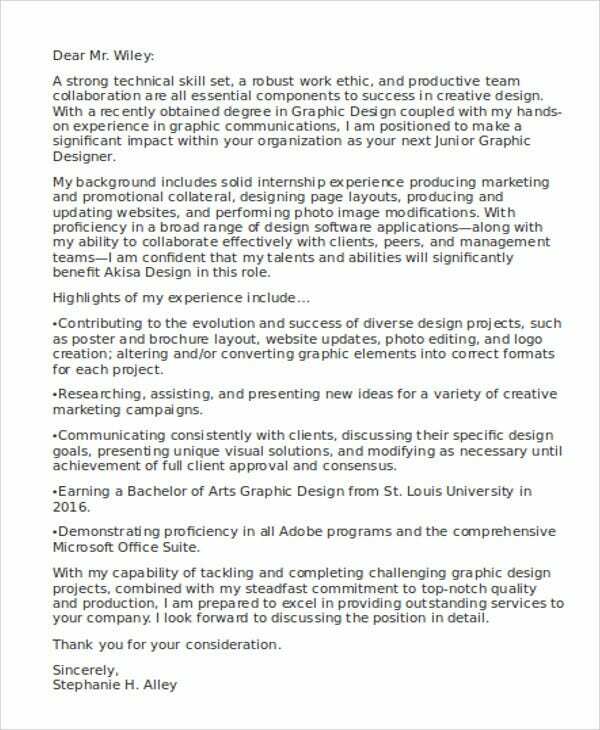 Observe the professional formatting for cover letter template. Enumerate the software that you have used in the past and mention how you used them as well as the projects that you accomplished with them. 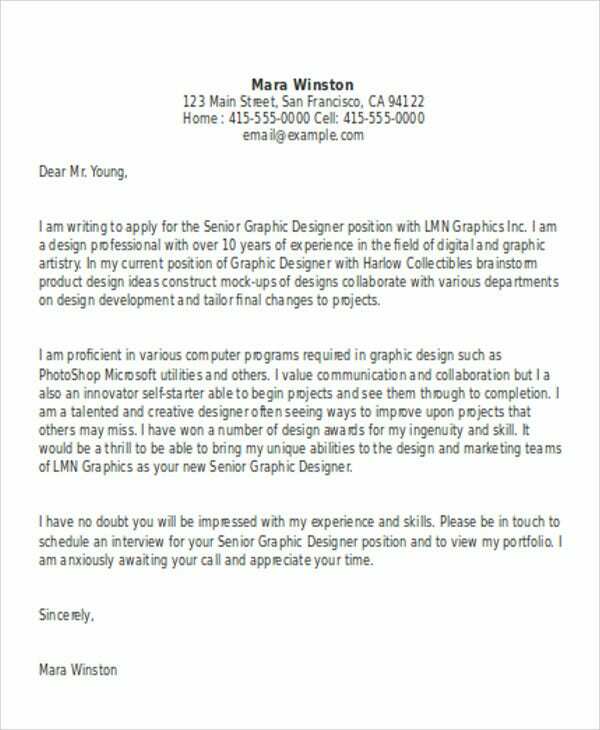 For even more cover letters, also check out our collection of Cover Letter Samples and Word Cover Letters.